If you’ve been searching for a living space to support the next chapter of your life, look no further. 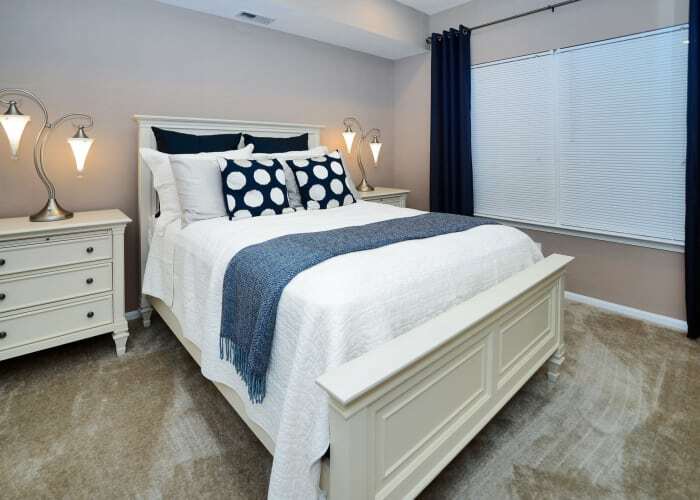 At Woodview at Marlton Apartment Homes, you can easily find the home of your dreams. We offer one and two bedroom apartments for rent in Marlton, NJ. Our homes feature floor plans ranging from 920 – 1,200 sq. ft. so everyone can find the right-sized space. To ensure your home meets the Morgan Properties standards, we complete a 101-point inspection on each home to make sure it’s move-in ready. Indulge in the best of modern living at Woodview at Marlton Apartment Homes. Your new Marlton, NJ, apartment features a gourmet kitchen, fully equipped with stainless-steel sinks, a gas cooktop, a timesaving dishwasher, and a cozy breakfast nook. In addition to preparing restaurant-inspired meals, you can also keep your wardrobe looking fresh and clean with the help of your full-size, in-home washer and dryer. Indulge in better living at Woodview at Marlton Apartment Homes. Call today to set up a personalized tour of our Marlton, NJ, apartments for rent.